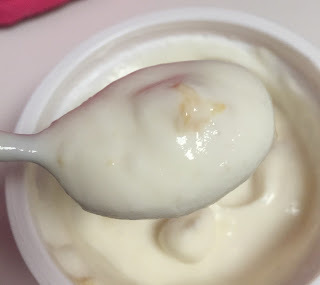 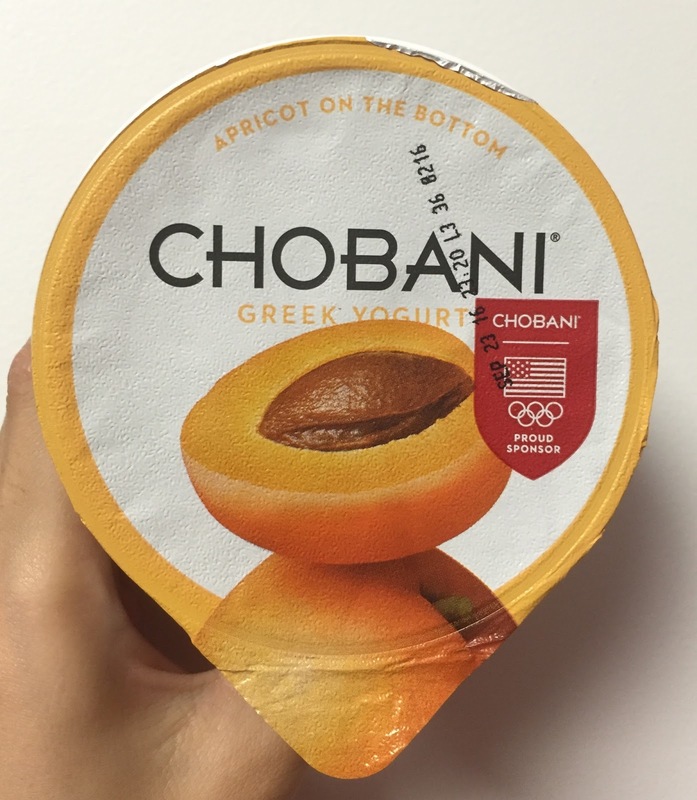 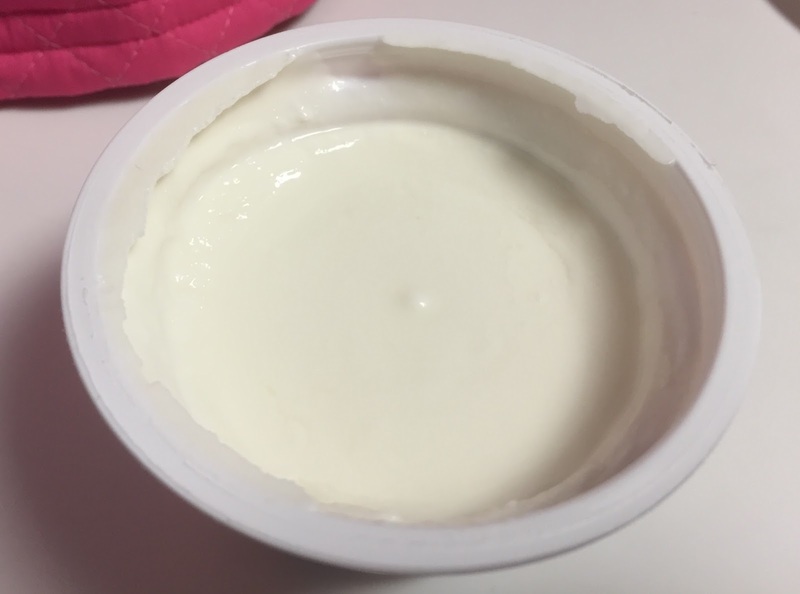 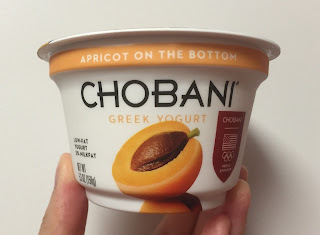 I had Chobani Greek Yogurt Apricot on the Bottom, which has apricot puree on the bottom of the cup. At the bottom, there's apricot puree. 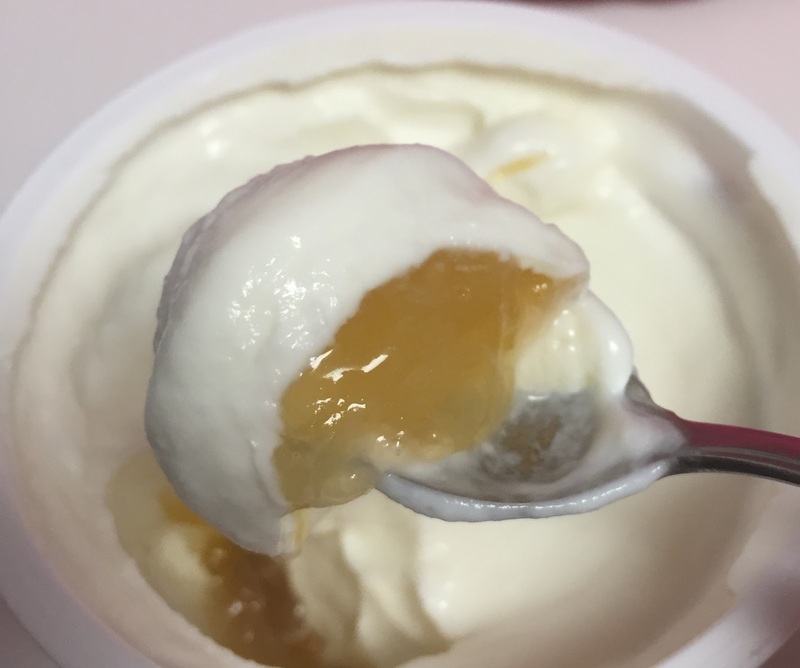 There're some chunks in the puree, and sour Greek yogurt and sweet apricot went well together.